This a movie review of THE WAVE. The town of Geiranger is situated in beautiful terrain, not out of place in CLOUDS OF SILS MARIA. Even before we get to see it, the travelogue intro is prefigured by news footage showing death and destruction from previous waves caused by rockslides into these cloistered inlets. Stakes set, if they were even needed (you’ve seen THE IMPOSSIBLE right? ), we cannot just be given Altman-esque snapshots of a plethora of inhabitants – instead, as usual, we have to have a microcosm to care about: A bland nuclear family. Wafer thin personalities populate THE WAVE. If filmmakers are going to concentrate on the few, then make us care. Kristian Eikfjord (Kristoffer Joner) is a geologist about to move his family to the other side of the country for a job at an oil company. Is selling out your dreams the mildly subversive catalyst? The Eikfjords consist of resourceful wife/mother Idun (Ane Dahl Torp), sulky teenage son Sondre (Jonas Hoff Oftebro) and young daughter Julia (Edith Haagenrud-Sande). Sondre says their current home feels “safe”. Uh-oh! If the movie universe was not already angry at Kristian for leaving the idyll, then his son tempting cinema fate is the final red flag. Of course, even his colleagues at the station, monitoring mountain movements, do not listen to Kristian’s ominous suspicions. Aren’t they scientists too? Why is the audience in attendance? For the mayhem, natch. 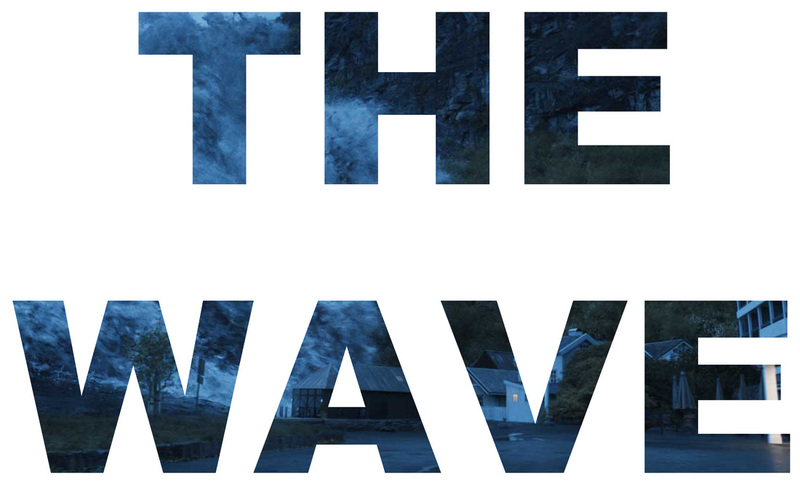 THE WAVE, though, takes a whopping 48 minutes to get going, almost half the runtime. The water maelstrom effects are impressive, but are over too quickly. Modern disaster films understand there must be secondary and tertiary after effects to keep patrons alert. Here, there is none of that. Mist obscures the night-time carnage, suggesting budgetary constraints. Kristian is Teflon, no one else is. Geologists should understand the terrain, but navigating a hostile environment would require another skillset that we are forced to swallow. Kin separated in two, Kristian-Julia and Idun-Sondre, at least mater familia is not helpless. Like a lioness she defends her cub. Though the patriarchy must save them all. The countryside alarm goes off as a 10-minute warning to get out of Dodge City. So somewhere the emergency services must be corralling. As Hurricane Katrina demonstrated, relief is going to take a very long time. Geiranger is a ghost town in terms of rescue teams. Is this void a subconscious political swipe or an existential cry? Disaster movies utilising other genres have injected inventiveness, e.g. the monster movie (JAWS, CLOVERFIELD), post-apocalypse (MAD MAX), the environment (THE ROAD), horror (TV show ‘The Walking Dead’), etc. In contrast THE TOWERING INFERNO and THE POSEIDON ADVENTURE were four decades ago, time to rest the conventional.